This serving tray is both decorative and functional for serving all your favorites. 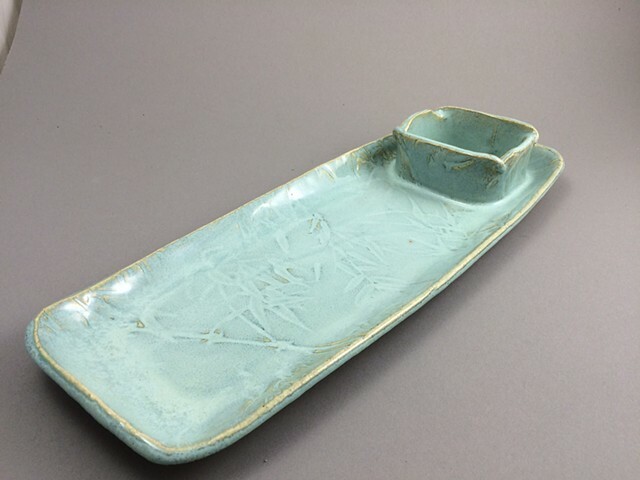 This tray is perfect for Sushi, fruit and dip, or veggies and hummus. It was built from a textured slab and fired with food safe glazes. It is dishwasher and microwave safe. This tray would make a great gift.